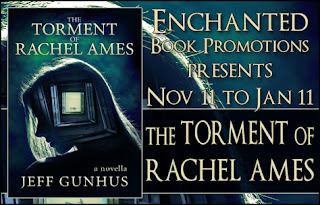 Jeff Gunhus is giving away a $50 Amazon gift card and a signed copy of The Torment of Rachel Ames. Determined to make the cabin work, she tries to settle in and give her new life a chance. But when strange things begin to happen around her, she wonders if she's made a terrible mistake. As the darkness that's followed her manifests itself in inexplicable ways, her concept of reality is stretched thin and she realizes nothing at the lake is what it seems. 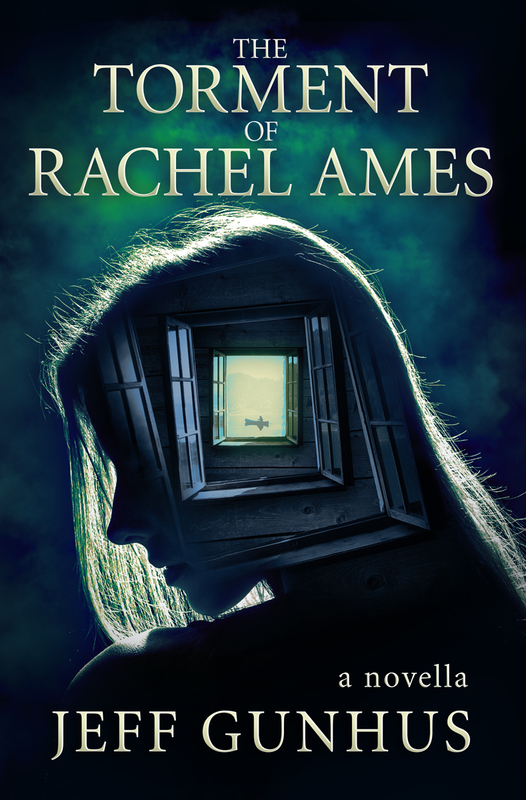 As she fights to survive with her sanity intact, she understands too late that the location she's chosen for herself is far from perfect. Rachel wakes just as the sun begins to set behind the mountains on the far side of the lake. She’s up with a start, a disoriented jump from the darkness of sleep into the flesh and blood reality of the world. There’s a panicked gasp of air as she pushes away a heavy weight smothering her. But there’s nothing there. Only a faint echo of a dream that she senses was brilliant Technicolor only seconds earlier, but now disintegrates wherever she tries to grasp it. All that’s left of the dream is the smell of the world burning, lingering strongly enough that she searches the room for signs of smoke, thinking her dream world had stolen the idea from the real. But there is nothing. Only the couch where she napped, the dining table where Underwood smirks at her, still unused, and the kitchen, as equally ignored as the typewriter. No smoke. No fire. It’s no matter because all thoughts of either drift away with the rest of her forgotten dream and she lets it happen. There’s no fight in her to remember. She didn’t come to the cabin to remember, anyway. She stands and stretches, shocked by how long she’s slept. There’s no clock or watch in the house or on her person, one of her writing retreat rules, but the light outside tells her the story. As the final bit of sun ducks behind the mountain in that curious sped up way typical of the last seconds of the sunset, she has a foreboding sense that time is somehow moving faster than it should. But that’s crazy, just her imagination taking advantage of her blurry state of mind. That’s jus’ not how things work around here. It’s Ollie’s voice in her head, but somehow she knows he’s right. Time doesn’t move faster here. It’s not how things work. Thinking of work, she walks over to the dining room table and is surprised to see a piece of paper rolled into Underwood’s gleaming paper feeder, the metal bar snug against it, ready for business. She turns to the sliding door to go outside but stops herself, surprised to find she means to pee outside. She’s embarrassed by the idea even though there’s no one else there. “Get a grip,” she mumbles, walking through the cabin and using the bathroom like a normal person. When she’s done, she pours herself a drink from the bottle in the kitchen, then returns to the table to face her tormentor. Fingers on the keys. White page ready for her brilliance. Begging for it. And she wants to give it. More than that, she wants to stuff it down Underwood’s throat so hard he gags on it. … a half-page of neat typing. First line indented. Hyphenated words at right margin. Two paragraph breaks. Lines of dialog in quotes. And not a single actual word that makes sense.